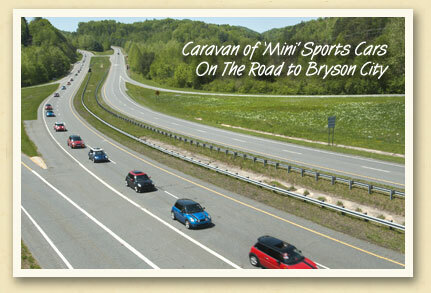 Downtown Bryson City was literally overrun with Minis. 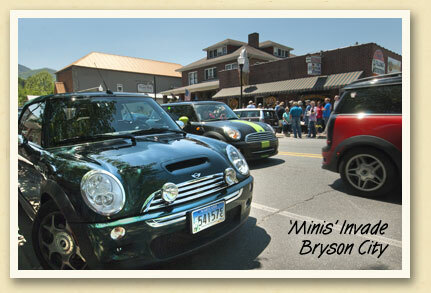 On Saturday, April 30, more than 100 of the sporty British compacts made the annual “Ice Cream Run” to Soda Pop’s Ice Cream Parlor on Everett Street. The Saturday side-trip was part of 9th annual “Minis on the Dragon” rally which brought more than 500 of the cars to Fontana Village for the four-day event.